Our Belgian section is affiliated to the Taiho Jutsu French School. We transmit our knowledge under the aegis of Sensei Jean Michel Roncero. 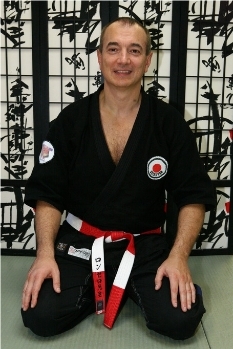 Roncero Sensei, high ranked in several martial arts, is the creator of the French school, our technical director and our godfather.